Bottle Grade Chips - 432,000 MT p.a. BOPET Films - 102,000 MT p.a. In order to assure good quality, JBF India and RAK have established state of the art in-house quality control laboratories. 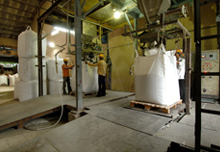 Critical properties such as IV, COOH, DEG, IPA, AA & color are closely monitored. Sophisticated equipments include Autoviscometer for IV analysis, Headspace GC for AA, DSC for melting point / crystallization, UV- VIS Spectrophotometer, density gradient column, polarograph and Hunter Lab color spectrophotometer. 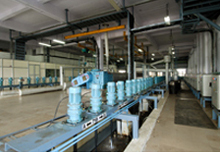 Quality control laboratory is managed by highly experienced & trained manpower. 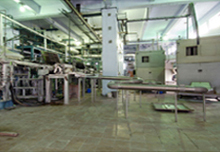 BOPET Films - 90,000 MT p.a. JBF has developed a 90 KT p.a BOPET Films plant at Bahrain International Investment Park, a free trade zone with significant support from the Bahrain Government. Strong local presence in the middle east market resulting in market know-how. Preferred supplier in UAE and GCC Region. Leveraging the leadership position in GCC region for extending existing contracts and attracting new customers. 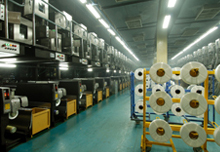 Demand for Thick films continues to remain strong with average deltas between $1000-1200/Ton. With increasing demand of solar panels and new usage of thick films being found, and no significant capacities being added, deltas for films are expected to continue to remain strong. Bottle Grade Chips - Max annual capacity 390,000 p.a. 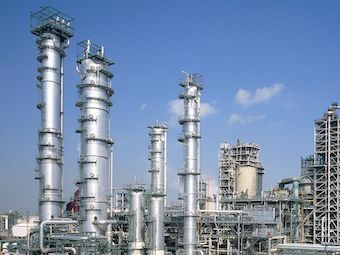 The plant engineering and construction has been done by Uhde Inventa-Fischer. Uhde�s Melt-To-Resin (MTR) technology enables JBF Industries to produce top-quality PET chips at lower cost. 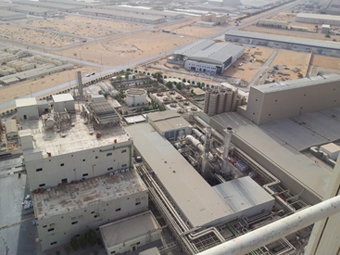 ISO certification has been granted to JBF India and RAK plants. In addition the plants have been audited and approved by various prime brands such as Coca-Cola, Pepsi, Nestle, Sunpet, Henkel, Masafi, Crystal Geyser, Sabert Foods, Shemshad Noosh, Alain Mineral water, Jermuk, Waterlok and many more.